The Gated Community of Mill Creek Farm comprises several estate size homes. 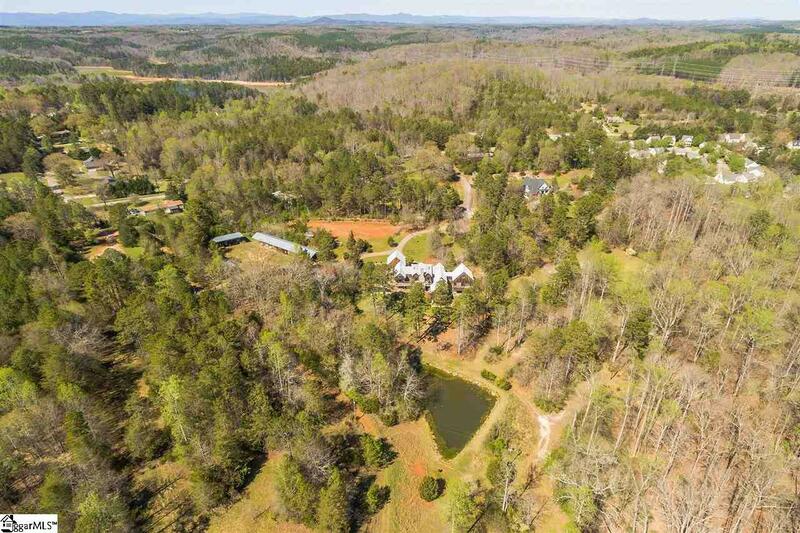 This 10.20 acre estate is the ideal setting for those searching for privacy and unrestricted living yet the benefits of Clemson and Lake Hartwell just minutes away. Bring your horses, 4-wheelers, fishing poles, RV, and enthusiasm for outdoor living. 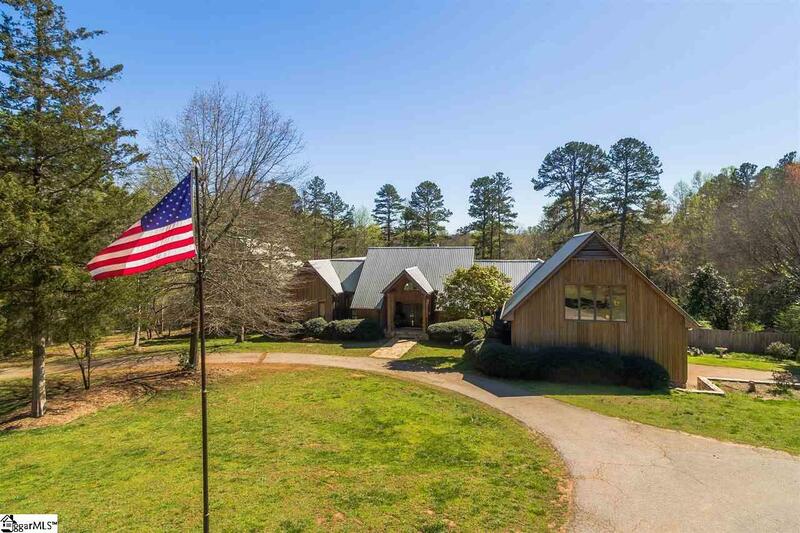 The Custom Designed 6230 SF home exudes warmth and character, built from local pine. Upon entering the massive great room with post and beam craftsmanship & wood burning stone fireplace towering 20 above. Glass doors flank fireplace opening to views of private stocked pond, nature, & over 50 ft. of decking that spans the back of the living section of the home. Great room is open to the dining room w/ views to front & rear of home. Pocket doors provide easy access to the kitchen, a chefs dream with 10 granite island, Jenn-Aire cook top & ample storage and seating. The bright breakfast area & den also has a stone fire place and opens to the grilling deck w/ views of the in-ground pool. A 24 x 26 guest room w/ en-suite bath & walk-in closet is located on this end of home as well. A bedroom is located just off great room, currently a haven for grandchild. Invite friends over, the "guest wing includes 2 more bedrooms & baths with walk-in closets and exterior access to a another deck that overlooks the pond. One bedroom has a spiral stairway to a 14 x 27 loft/study space & the walkout basement of this wing is a 27 x 28 family/game room with glass doors leading to patio. Located off another wing is a very private master suite w/ his & hers bathrooms, walk-in closets, & access to another private deck. Her bath has double vanity w/ custom Paua Shells basins from New Zealand & His bath, made of redwood has a walk-in shower & cedar closet. Bedroom area has custom built-in cabinetry that spans 21 including entertainment center, bookcases, drawers & hanging closets. Accessed from the master is a wood paneled room currently used as gym, but could easily convert to home office. With over 2200 sq. ft. of outdoor living space that includes in-ground pool, a large hot tub & built-in seating. Pool surround, walkways, & patios are made of field stone from the property. 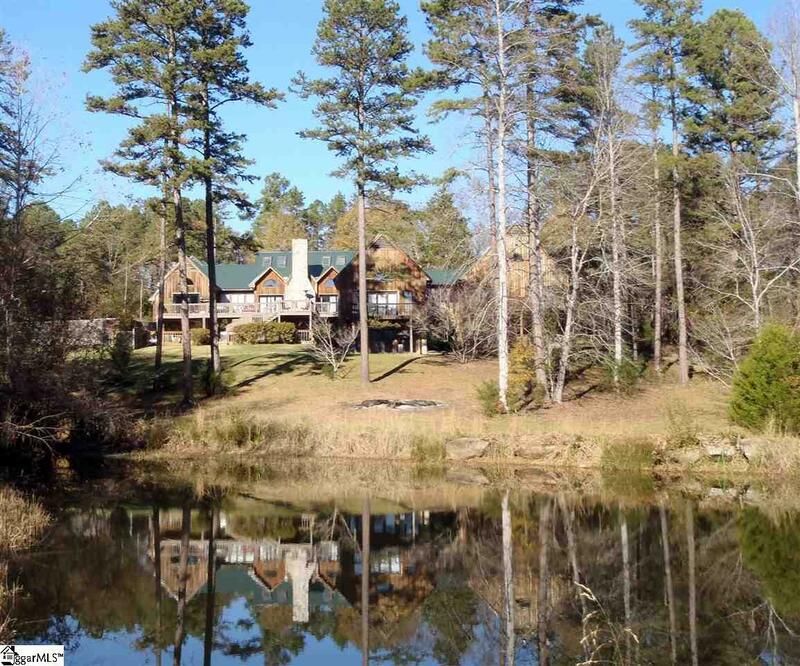 The 10+ acre property has three outbuildings & guest or care takers cottage. The 2 bedroom/1 bath cottage is 1400 sq ft w/ nice kitchen & dining area, large living room w/ a wood burning fireplace, a screened porch, and covered parking. Multi-use barn has 2 horse stalls, wash rack, feed room & tack room. There are 2 open stalls and a dog kennel, also an 100 x 200 level grass arena ready for footing & very nice pasture land. One large storage building has three covered bays for boats and RV storage & behind the guest cottage is covered storage w/ 5 bays on a cement pad. 2 of the outbuildings have electricity. Beautiful new metal roof installed in November 2017! This is a rare opportunity that must be seen to be appreciated. Located just 3 miles from Clemson and zoned for Clemson Elementary School, Edwards Middle, and Daniel HS. 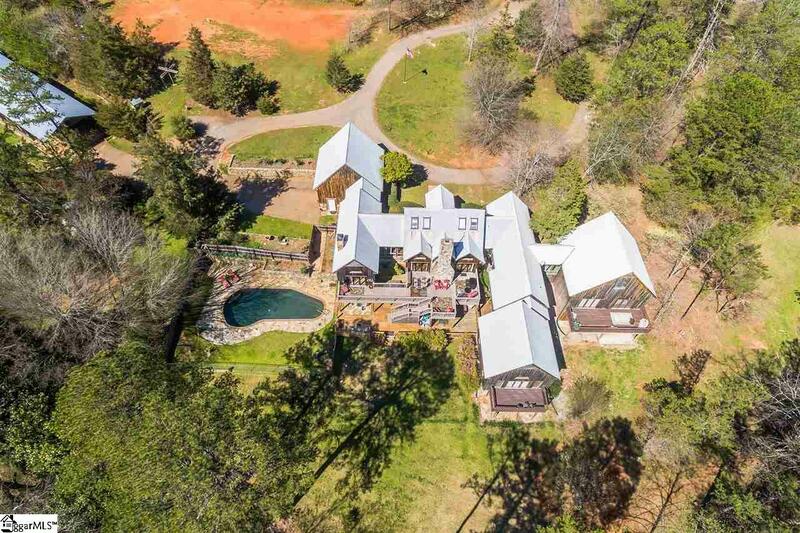 Listing provided courtesy of James Smith of Tri-County Properties.